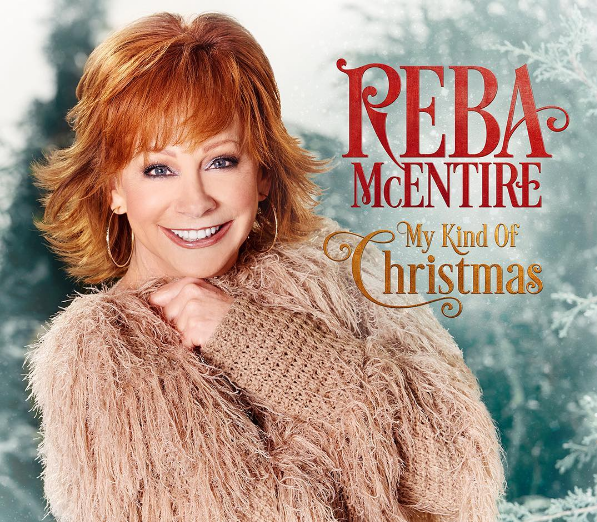 Reba McEntire - "My Kind Of Christmas"
Reba McEntire "My Kind Of Christmas"
October 13th marked the re-release of Reba McEntire's latest Christmas album, My Kind Of Christmas. Those who have already purchased the album through 2016's limited release may be left feeling slightly frustrated at the re-issue (with three new songs) however this full release will likely see more fans able to purchase the album. Featuring many classic Christmas songs, this album sees Reba take listeners through a selection of festive favourites alongside an incredibly well-respected cast of featured artists. I have been a fan of Trisha Yearwood's for many years now so I was immediately drawn to album closer, Silent Night. Alongside Trisha and Kelly Clarkson, Reba delivers a confident yet delicate vocal with an ease that creates a calm, comfortable listening experience. Whilst Reba, Kelly and Trisha undoubtedly delivered impressive solo performances, their version of Silent Night does feel a little too much like three solo artists, with a substantial part of the song spent with the listener hearing only one of the three voices. It's a shame as when the trio come together to deliver an a cappela version of the last verse it's simply spine-tingling. Whilst it feels a little out of place on a Christmas album, this acoustic re-release of Back To God is very impressive. I wasn't familiar with Lauren Daigle before hearing her alongside Reba here but, event though both artists have very distinctive tones, they blend together well. The two trade vocals smoothly throughout a track that is grounded by it's delicate piano lead and emotive lyrics - whilst I'm still not sure it fully belongs on this album, it is certainly a very good thing that listeners have been able to hear this version of one of the tracks from Reba's recent gospel album. Winter Wonderland is always a popular Christmas track and it should be no different here. Opening the album, Reba delivers a slick and natural performance alongside an arrangement that is largely the same as listeners will have heard before - that being said, she still manages to make her mark upon the track. Interestingly there seems to be a wide variety of lengths in the various releases of Winter Wonderland and, at just over two minutes long, Reba's feels a little too short. Alongside this, The Christmas Song is another of the most impressive covers on My Kind Of Christmas. The overall smoothness of the production seems to suit Reba incredibly well and I could actually imagine this being a stronger album closer than Silent Night. The track is a whole is easily one you can allow yourself to sit back and drift away with the music, a really compelling listening experience from start to finish. Considering all of the listeners are going to have heard a vast majority of songs on any Christmas album before it's always interesting to hear artists put their own unique spins on tracks. There are some here that are more successful than others in my personal opinion however fans of Reba are sure to embrace My Kind Of Christmas. Labels: Reba McEntire "My Kind Of Christmas"
Ten favourite....albums of the year 2017! Danielle Bradbery - "I Don't Believe We've Met"